WendyBunny's Rantings: Things, stuff and other subjects. I should update this thing more often. Anyway, here's a roundup of stuff I've been up to in case you don't already know. Sketches! Sketches! Get your free sketches here! If you've got a DA account and some free time I've got a journal up offering free sketches, ten in fact. The only condition is that you also offer to do ten free sketches. It's kinda neat. You should get me to draw you something. Now, I've already mentioned this on the Gilbert and Grim website and on Twitter, but I'll mention it again anyway. I recently did two guest crossover pages for the webcomic L33T starting here. One comic is a crossover with Gilbert and the Grim Rabbit and the other is a crossover with Commander Cottontail, which I'm sure will be ready to go live any week now. I also did a guest comic for Callous Comics back in August, which I don't believe I've posted here before. Maybe I did. I'm not sure really. I might as well post it anyway, right? Yes, you right there. I need your help. Yes, definitely yours. You see, me and Jess have been working with JJ Sandee of The House of Madness, Shazram and Nismorack.com to produce an awesome kit bag for artists. 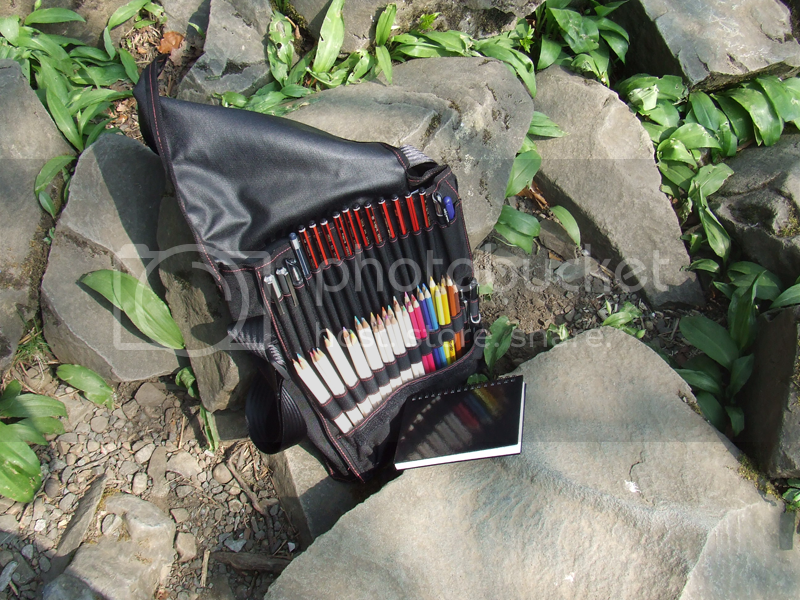 It's heavy duty, waterproof, can fit a who load of pens and pencils, as well as A4 and A5 sketchbooks, a phone and other bits and bobs, and it's made in the UK. I have one that I use myself and really, they are really good. I'm not just saying that. They really are. We have a Crowdfunder page for the bag to try and raise the funds to get the first full scale production run made. Obviously, if you'd like to put some money towards it and get yourself a bag, that would be awesome, but if not you can still help, and I know you want to help because you're an awesome individual like that, by spreading the word, letting other people know that this thing exists and that we're trying to raise the money to get it produced. Thanks in advance for being so awesome. Next update on Tuesday: More toy robots, Lego and an awesome thing I have to show off.